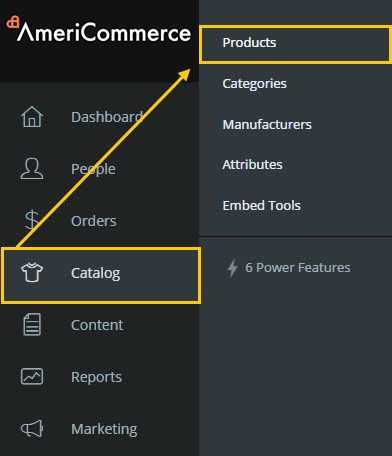 Next click on the "Edit Product" button located under the Action Column. 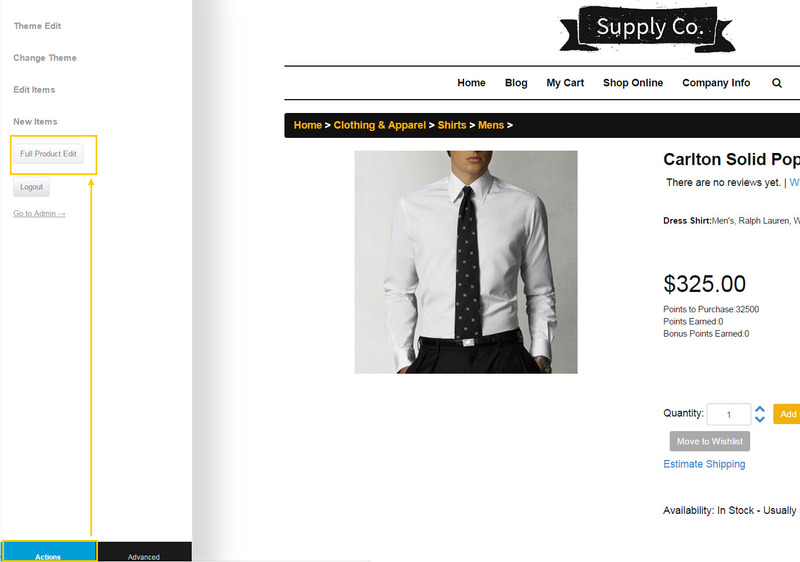 You should now be looking at the "Product Editor" page. Click on the menu that says "Photos." 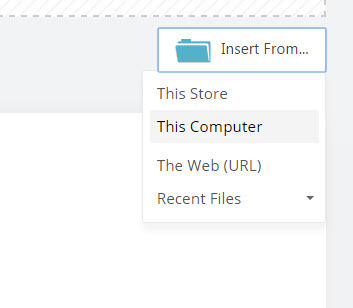 From here, you can either drag photos from your computer, or click on the "click here"
Also, the "Insert From" menu gives you the options to add from a URL, computer or "This Store"
The "This Store" option will open up the File manager to browse existing files on your AmeriCommerce online store server. 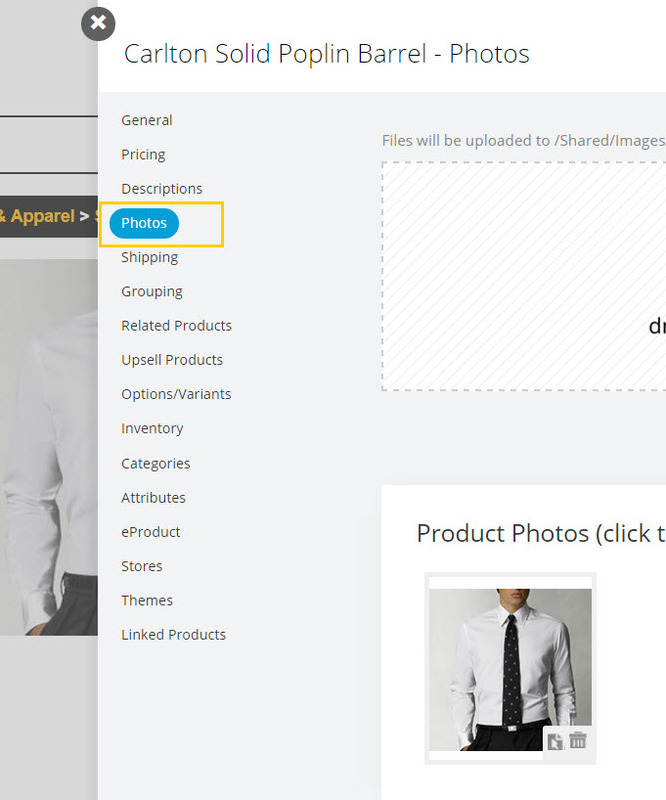 When the page refreshes you will see the image in the Product Editor. From there you can edit if you wish. Congratulations! 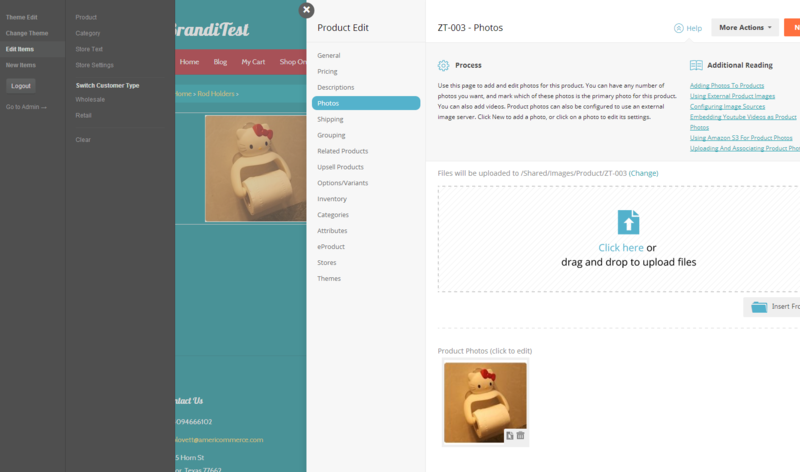 Your product now has its first product image associated with it.